Chinese telecommunications vendor ZTE has vowed to protect its company and its employees and declared it would utilize all the tools at his disposal to ensure it continues to serve its operators, partners and suppliers despite the export ban issued by the U.S. Department of Commerce. In a statement issued to the press, ZTE said, "Although the company is in a very difficult situation, the company's board of directors and management team will do their utmost to protect the rights of 80,000 employees to work legally, as well as the rights of their families." U.S. Department of Commerce activated the suspended denial order on ZTE and banned ZTE's purchase and sale of sensitive products, software and technologies limited by the U.S. Export Administration Regulations within seven years. Mr. Yin Yimin, Chairman of ZTE Corporation, stated that he will exert utmost efforts to fulfill the needs of hundreds of operators, thousands of partners and suppliers and billions of end users across the world. "Even though the U.S. activated the denial order on ZTE, we still keep working in line with the standards for world-class export control compliance companies." A couple of days ago, the U.S. Department of Commerce activated the suspended denial order on ZTE to impose the most stringent sanctions due to these two reasons: first, ZTE didn't issue the disciplinary letters to those employees and did not promptly deduct their bonuses who were involved in historical export control violations, and second, ZTE submitted two false statements to the U.S. government on November 30, 2016 and July 20, 2017. ZTE responded quickly and expressed its firm opposition to the decision made by the US Department of Commerce, to the unfair and unreasonable punishment, and to making a trade issue as a political one. From ZTE side, U.S. expands minor problems infinitely, causing significant impacts on companies. ZTE also emphasized that it is following closely with this issue and will uphold openness, transparency and integrity to continue to communicate, and at the same time, will solve it with legitimate means seeking to reduce the adverse impact resulted from this issue. Mr. Yin Yimin sent out an internal letter to all the ZTE employees, saying that the company is trying its utmost to solve this issue by active communication and hope that all the employees can be stable-minded and perform their respective responsibilities. Chairman Yin Yimin said in his letter, "Providing your best contributions to your duty is the greatest support you can do for our company." As everyone knows, the internationalization process of an enterprise is not smooth at all. Instead, it is full of risks and challenges. For instance, in 2017, the company achieved 43.06% of its revenue from the overseas market, of which, 25.1% of the revenue was from U.S, Europe and Oceania. As a highly globalized high-tech enterprise based in China, we have been giving great efforts in improving our compliance in such a complicated international situation management in the past two years, with the contributions of all our entire employees. According to ZTE, it adheres to the principle of "Export regulation compliance is always the top priority of the company". In terms of export regulation compliance, ZTE has established a Compliance Committee, formed a team of experienced export regulation compliance experts covering the globe, and introduced several world-class consultant teams to the company. ZTE had invested more than USD50 million in the related compliance management in 2017 and plans to invest more in 2018. Meanwhile, ZTE has organized the compliance training for over 65,000 employees. "Even now when we have received the denial order, we still require ourselves to follow the standards of global first-class export regulation compliance," said Mr. Yin Yimin. In this case, ZTE found out the problems through self-examination and took remedies promptly, which fully reflects the effective operation of ZTE's compliance management system." Mr. Yin Yimin thinks that it is extremely unfair and unacceptable in this case that the Bureau of Industry and Security of U.S Department of Commerce imposes the harshest sanction on ZTE when the related search has not completed, regardless of ZTE's great efforts, investments and improvements in export regulation compliance. ZTE will not give up its efforts to resolve the problem through communication and dialogues, and will also protect its legitimate rights with all the legally allowed measures. "We shall strengthen our technological investment to make us more competitive." 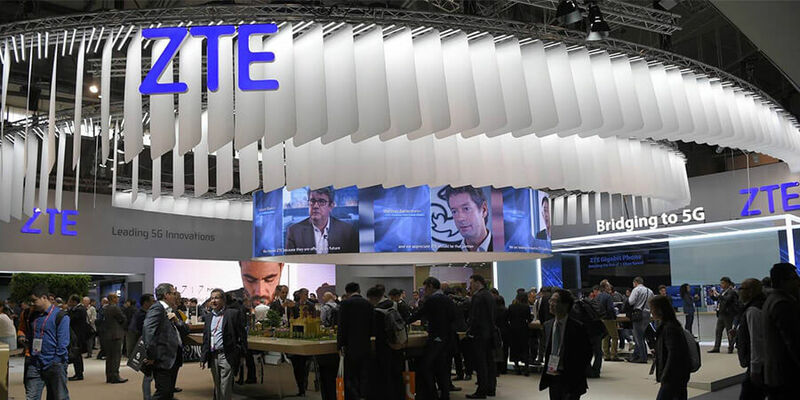 As the industry insiders state, admittedly, ZTE has been one of the world's tier-1 telecommunications companies through innovations and efforts. It plays a significant role in the global telecoms network construction and service, narrowing the information gap and benefiting the whole world. According to the introduction, ZTE currently has approximately 30,000 R&D professionals. It ranks 2nd in the world with 2965 filings submitted under the Patent Cooperation Treaty (PCT), according to the World Intellectual Property Organization's latest annual table of patent applicants in 2017. This is the 8th consecutive year for ZTE to be among top 3 companies worldwide submitting the most patent applications. Moreover, ZTE is the exclusive Chinese company to make the top 3 list for eight consecutive years. As we all know, countries all over the world are developing their ICT technologies, which leads to the global deployment of the industrial chain. Therefore, no country can complete the ICT industrial chain independently. American companies are not exceptions either, in spite of the U.S globally leading position in some fields. According to Mr. Yin Yimin, ZTE is globally leading in 5G wireless, core network, carrier, and mobile devices. ZTE's major products largely adopt the specialized chipset developed by itself, however, these products inevitably require many general components from external suppliers. It is the trend and requirement of the global market development. Meanwhile, ZTE is investing in innovation. According to Patent Analysis and Patent Portfolio Quality Evaluation Report of the Microchip Industry issued by the globally renowned patent retrieval firm QUESTEL, ZTE is in the leading position in the Chinese IC (Integrated Circuit) chipset patent field, thanks to its most chipset patents. "Certainly, we shall strengthen our technological investment to make us more competitive," said Mr. Yin Yimin. ZTE has been insisting in the independent innovation of key technologies and extending its R&D investment. The company's R&D expenditure was RMB 12.96 billion in 2017, covering 11.9 % of its revenue. The company has been continuously extending its investment in 5G R&D and related fields. To date, ZTE has formed a 5G R&D team with more than 4,500 professionals, and annually invested around RMB 3 billion in 5G wireless R&D. By December 31, 2017, it had accumulatively owned over 69,000 global patents, with more than 30,000 granted worldwide, including over 1,700 patents for 5G strategic deployments globally. With sufficient evidence, it shows that ZTE has always been a reliable and trustworthy enterprise in both African countries and the developed countries in Europe and America. In the aspect of wireless, ZTE has obtained more than 320 LTE/EPC commercial use contracts globally and entered 80% 4G-deployed countries. The number of Pre-5G networks deployed by ZTE is also rapidly increasing. By the end of 2017, ZTE had deployed over 110 networks in around 60 countries in the world. According to Mr. Yin Yimin, ZTE always cherishes the concept of creating and sharing values along with clients and users. ZTE has always been a major contributor to the global 5G standardization. It has participated in almost all the international mainstream standardization organizations and promotional agencies. At 3GPP #RAN 78 Meetings in Lisbon, Portugal, ZTE and other 29 global major vendors witnessed the approval of the first specification of 5G NR. In partnership with its industry partners, ZTE will promote the 5G test and large-scale commercial deployments based on the unified standards. "With the internationalized development, we will persistently protect the legitimate rights of all employees and shareholders, fulfilling our responsibility to global clients, consumers, partners and suppliers," Mr. Yin Yimin emphasized. ZTE employees express great confidence in the company. One of them expressed, "we believe the company management has the ability and wisdom to solve the problem. We believe that 80,000 ZTE brothers and sisters will not abandon each other and will be with the company in the difficult time. Meanwhile, we believe that ZTE families will stand by ZTE employees, and give us greatest support and encouragement. We believe that as Chairman Yin Yimin said, any path towards the bright future is not straight and smooth, and the company's internationalization journey must be accompanied with twists and tilts. On the way forward, we shall be determined and believe in ourselves and the company, believing that we will be stronger after we go through such a storm."